It’s hard to believe I have a 5th grader this year, but I do. That means I’m beginning my 6th year of homeschooling! This year our curriculum seems to take a step up in the difficulty level. I will admit that I’m a little nervous to see how it all plays out because it seems like a lot when you look at it all on paper. (Plus, I’ll be teaching two grade levels at the same time.) However, I’ve come to trust my favorite curriculum company and their choices for curriculum. Each year gets better than the last. I always share my homeschool curriculum choices–partly as a record for myself, but also for people who might be on the search for good curriculum. 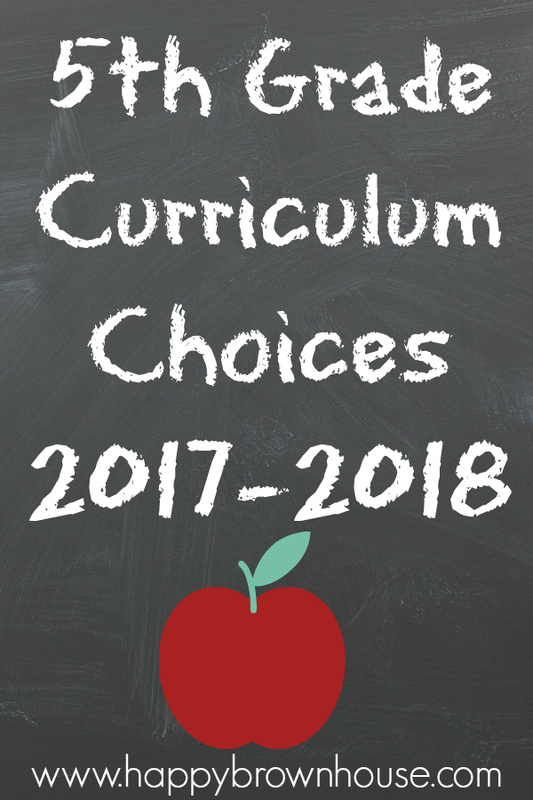 So, in the name of tradition, I’m sharing our 2017-2018 5th Grade Homeschool Curriculum Choices. I’ve shared my 2017-2018 Kindergarten Homeschool Curriculum Choices in another post. This year we’re doing My Father’s World Creation to the Greeks. I’ve been with My Father’s World curriculum from the beginning and we have loved every single year. This year has a lot of moving parts. Creation to the Greeks begins a four-year chronological study of history. (We will follow up this year with 3 more years of chronological study of history in the My Father’s World curriculum teaching cycle.) In addition to the teacher’s manual and the student sheets, My Father’s World Creation to the Greeks has lots of books. 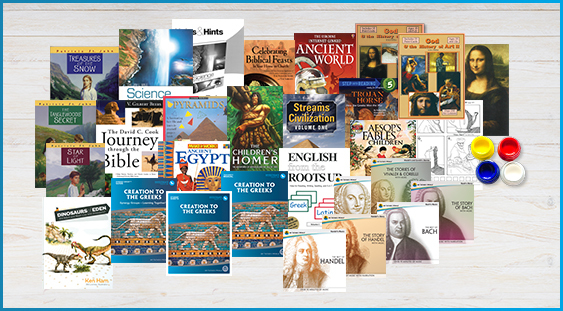 Want to see more homeschool curriculum picks? 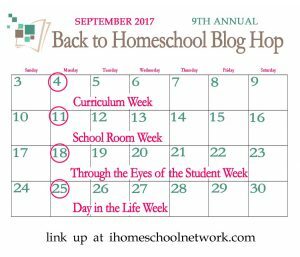 Visit the 9th Annual Back to Homeschool Blog Hop hosted by iHomeschool Network for more curriculum ideas. I love Patricia St. John! I was homeschooled as a kid, and I did a lot of the books you have listed here. 🙂 Such good choices!